The Rector Andreas Anagiotos will not forgive any faults in the CUT (nor his)! Our meeting was set early in the morning. The was already set in a fast track. He appeared in a suit — he had to attend an inauguration event right after — but his attitude showed that this was not the outfit he is usually 100% comfortable with. In a frisky mood, quite talkative, he appeared ready to get into a discussion without any taboos, for a university in which he believed since the very first moment and, hence, he owed to acknowledge any mistakes and responsibilities. There are 2 ways for one to talk about the scandals, the problems and the responsibilities: one is clearly aiming to overexpose the scandal (producing the most alluring titles for newspapers and news broadcasts), the other is making an account of all the facts (without avoiding the truth of the events or the exposure of the neglect, the interference for the interest of one part, but in a way that aims to restore the situation, not to make a ridicule of it). This second way is the one that stops all that has gone wrong, but unravels what needs to be done, in order to allow a most positive prospect, for something that clearly has a great value for the city and real benefits for its residents (anyone can come up with expamples of how the CUT has helped these past years, since it opened in the city). Andreas Anayiotos knows that a discussion about the scandals is always on the line and he does not try to (he could not, anyway) to elude. H also knows that the Media do focus in any negative news, always making them seem greater than they actually are, since it is generally known that negativity "sells" better. But he does believe both in the University and Limassol since the first day he stepped his foot in it. Thus, he knows that only through a sincere discussion about the past and the present of the CUT, a discussion that will not hesitate to count one by one the truths (both painful ones and not), can be substantial for its future. 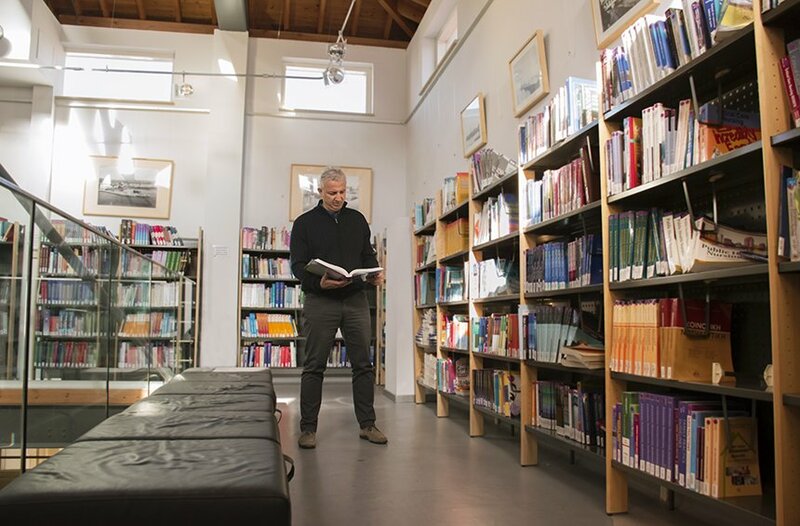 The Rector of the CUT comes from Limassol, born and raised in Pallouriotissa, but chose to become a Limassolian, leaving behind his most successful academic career of 17 consecutive years in universities in the USA. Since for 7 years now, he raises his family in Limassol, without being able to imagine his life anywhere else from now on. 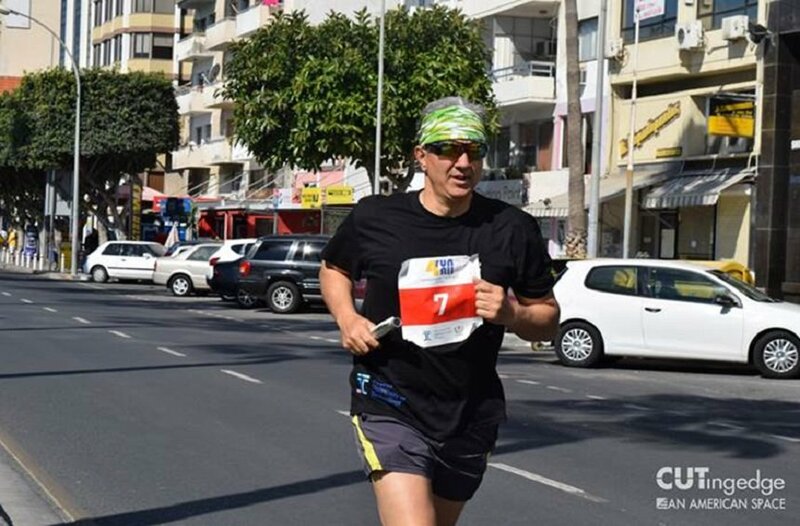 He takes every opportunity to for running or cycling, he loves trips in the nature and in particular at Zapalo, west to Limassol. Since 2015, though, and his election in the CUT's Rector's office, Andreas Anayiotos is the man that appears in the news, either to represent the university and its achievements, or (usually) in regard to the discussion about scandals. "I does not occur so often, to be able to contribute with your own vision and knowledge to the creation of a Univerity", he says, explaining why did the CUT become 1 of the 2 reasons that brought him back to Cyprus and Limassol in particular, in January 2007. After 27 years in the USA, making a conscious decision a return home, he chose to be part of the setup and operation of the, newly founded back then, Cyprus University of Technology. In no way, though, he could imagine that he would be the Rector that would manage such a situation, with large titles about University scandals appearing in the news every so often. With the same (if not greater) passion for the development of the University, he makes clear that in spite of any problems, if he had to choose once again between the USA and Limassol, he would still make the same decision. "Sure, ever since I was elected a Rector my schedule is even more tight and my wife and kids always nag about me being away too much. Still, I consider the students at the CUT as my own children, too, so I think that the time I spend in work is just as important". 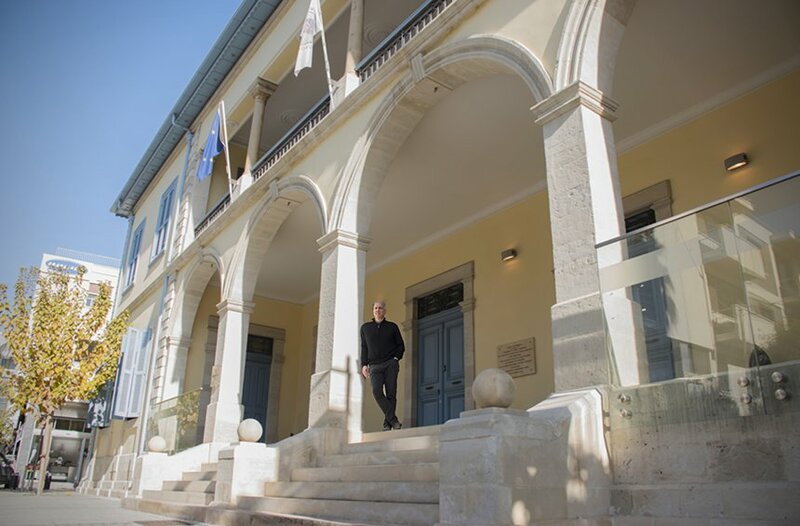 The Deanery of the CUT, one of the most historical buildings in Limassol, was restored with a budget larger than €4 millions, in order to host the facilities of the University. "It is important for Limassol to have large scale projects implemented, to be trusted for such projects", he says. This is why he sees a unique tool in All About Limassol (the Official Source for Promoting Limassol), which contributes in the a change of attitude and mentality. 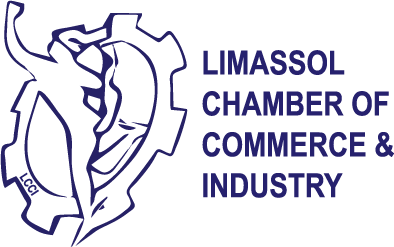 "Limassol has always been a city were private sector initiatives would flourish. Nicosia was more concentrated in the state services, but Limassol has been an innovation center, even when innovation was not a familiar concept", he explains, adding that there are strategic partners, with whom the city should seek some kind of collaboration. "People need to realize that the city has to step forward", he stresses out. Which would you consider a model city for Limassol? I would say that the couple of Nicosia — Limassol is similar to the couple of Madrid — Barcelona. There, of course, they have their national issues, too, between Catalan and Castilian nations, but one may say that local issues apply respectively in the Cypriot cities. Castilian people in Madrid, are mostly bureaucrats, doing business with the government, while Catalans were more innovative. They may have had been in a disadvantageous place, but look how far they have come!What Barcelona did in the beginning of the 20th century is similar to the possibilities Limassol has in the 21st century. You need to be active, for sure, but you also need the right exposure, through a portal like All About Limassol. Positive thinkers need to come forward. The Media may "sell " the scandals to have more reach, but we cannot stay in this and neglect anything positive or any success. In a university we strive to alter the mentality of the students, while All About Limassol does the same for the mentality of an entire society. Do you think that we are fixated on the negative? We are negative as a nation, indeed, and we tend to question or to quarrel. It is a culture that has been developed through the centuries. I was in the USA for 27 years and since I came back in my home land, I find it difficult to adjust with this approach. The Americans are always positive. Even if something bad happens, they look for the positive in it. They will examine both sides, but they will keep the positive part. There were so many masters imposed to us that we never had the opportunity to grow. We still keep some elements from the Ottoman era in our mentality. We consider any office to be the result of bribery special treatment, just as it used to be in the Ottoman Empire. We have been through several hardships, ever since the Roman Empire and until very recently. The people always encountered problems and misfortunes and the has developed a fatalistic approach. Consequently, one does not expect anything good to happen. Other Mediterranean people have this feature, too, but not in the same degree as we do. Being a Vice Rector before, he wished to be elected Rector, considering his experience valuable for the strategic goals that the University sets. Didn't you have any prospects in the University of Alabama? On the contrary. I was an Associate Professor, with a very good income and pension benefits. Returning to Cyprus was in fact a financial hit. In academics, since I was in the Biomedical Engineering field, opportunities were inevitably much lesser here. I did sacrifice a lot, but my criteria for coming back were my wish ti get involved with the establishment of a new university and the relocation of my family in my country. I do not regret any of it, though. The achievements of the CUT within these first 10 years, are amazing. European colleagues tell us that this is enormous, indeed. 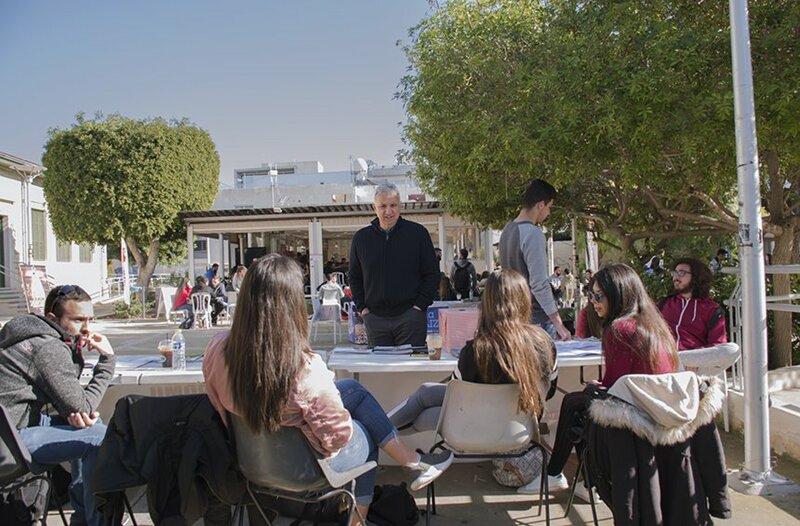 The result was the qualification of the CUT among the top 350 — 400 universities in the world, in spite of the issues related to the building facilities, in spite the recession and the "scandals" coming up every so often, which is actually very rewarding, considering the circumstances of my choice to come to Limassol. "The University was established without a long-term plan..."
Why do you refer to "scandals" in quotes? Aren't they scandals for real? Yes, this is the dominant belief about the University right now. A university that is now in its very start and appears in the center of an already developed city, is naturally facing several issues. This does not concern just our University, but other such Institutions abroad, too, which may have left them behind after several years. Who is to blame for the scandal about the research budget Rozita used to manage? It is a classic case of corruption, which is a general phenomenon in the Cypriot society and it eventually evaded the universities, too. Why would anyone want to be the Rector in a university associated with scandals, in spite of its achievements? It may seem fake, but I do believe in the CUT. After all, if we examine the essence of the scandals, we will recognize their cause, too. There was a political decision for founding the University in the city center and this is a good decision, if you ask me. But, what it needed was a good plan in advance. This is "Achilles' heel" for our country. We are not Germans. we do not plan in advance, we do not examine things before we even start to implement something, but we go through with it while planning in the same time. Important historical buildings in Limassol city center have been restored to host the facilities of the University. It would be cheaper to build new ones, but this was an option that would produce benefits for the city, too. Why do we do thing without planning, do you think? We do not learn from the mistakes in our past and we are rather sloppy. Sometimes there are political agendas, too. I remember, in fact, that we were here to start planning the study programs and we were would be pressured to start the operation in September 2007, because we had election in March of 2008. We, the academic staff, were pressuring back then, to have our main needs covered, with all the necessary facilities in laboratories and classrooms. We did not even know where would the Engineering School be housed and there were some who considered the building in Saripolou street enough for the entire School, even though it is not at all. I remember a discussion about a state budget of around €20 millions for the purchase of some buildings in the city. This would allow the University to make a start with its own buildings and avoid all of these scandals about the renting budget. Did people rush into the foundation of the University, with a superficial approach? I would not say that exactly. But I dot think that the State did take action without the necessary long-term plan. This way, the University did allow the problems to rise. Did this neglect serve the owners of buildings that could be rented by the University? I cannot possibly be aware of that. But, I do know that instead of a decision that would lead in the purchase of these buildings, the State decided to go with expropriation and rented buildings, which resulted to 42 rent contracts in total. I would say, then, that some things did happen in a rush, without any long-term planning. How many are the rented buildings now? Now we have decreased their number to 33. We are oriented towards decreasing this number even more, by obtaining more facilities that will be under the ownership of the University, like the buildings of the Deanery, the Library, the building of Andreas Themistocleous, the corner building, that hosts the Studies Services and Student Provision Services, "Tassos Papadopoulos" arcade , "Lanitis" arcade, etc. 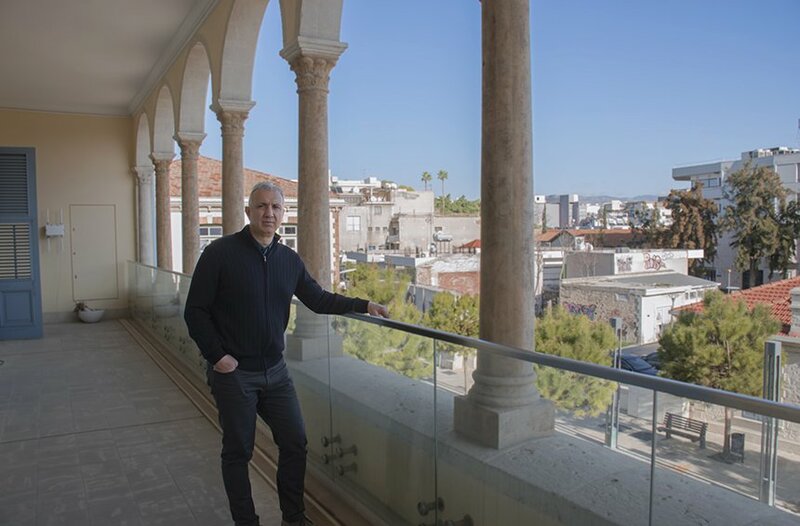 After 10 years in Limassol, Andreas Anayiotos, couldn’t have imagined his life in another city, since the position at the CUT offers the moral satisfaction of a job that brings results with a worldwide recognition, while at the same time he enjoys the quality of life that this place has to offer. These buildings were given to us by the Municipality in a miserable condition and it took quite a large fund for them to be restored. Of course, this improved the image of the city center. The building of the Deanery is a typical case, since its restoration cost more than €4 million. If we had built it from scratch it would cost about the half of that, but it is a historical building which constitutes an advantage for the city. In these cases, such as the Library (the former Court), the Deanery (the former Land Registry) or Themistocleous building (the former Girls’ School) the money that were given did benefit both the University and the city. In that way CUT has established its location in the center of Limassol and it will not leave from here. Besides, at this moment, its expansion to the Second Pole at the Old Hospital is in progress. There, beyond the Rehabilitation Clinic, which has been completed, a big building will be created in order to host the Health Sciences School. Are the headlines about the scandals in the CUT produced in purpose? Unfortunately, the issue comes up every time, with huge headlines, because the negative news in the Media always sell the most. But, yes, there have been attempts to undermine the work of the CUT, even from other academic circles. Are the 2 public universities of the country able to have any collaboration? Indeed they do. There is an excellent collaboration through many research programs. For some, the coordinator is the CUT and for others the coordinator is the University of Cyprus. Our relations with the fellow academics are excellent. In fact, there is an upcoming collaboration between the universities, for the promotion of foreign language programs to the countries abroad, in order to attract more foreign students. Around 3.000 undergraduate and postgraduate students are enrolled now in the CUT in 6 different School, who have brought a new life in the city center. In numbers, what does the establishment of the University in the center means? It means approximately 3000 students, moving round and living in the city, but also it means more than 500 people in the teaching and administrative staff. The money that the University has given to settle in the center has also benefited the local businesses, giving a new liveliness to the city. Is the space of the Old Hospital private? Yes, it has been granted to CUT by ministerial decision since 2006. Following that, a Coordinating Committee set up in order to manage the site there, which had members from: CUT, Limassol Municipality, Ministry of Education (which was weighing the situation according to the University's interests, but also the interests of the opposite Technical School and of the Urban School III, which is the Primary School), Ministry of Health, Ministry of Justice and Police, Land Registry and Urban Planning Office. There was 1 meeting every 6 months and none of them had any positive outcome for the growth of the Univerity. This situation lasted for about 7 years. Of course, it took 10 years for the University's expansion plans at the Second Pole to proceed. It's a painful story that I observed since 2012 as a Vice Rector. And what is the future of that region now? The hospital will not leave from there, of course. Behind it, the offices, the laboratories and the classrooms, with the Departments of Nursing, Speech Therapy, Occupational Therapy and Physiotherapy (2 new departments that will be created), with emphasis on autism issues, as well as the Department of Public Health, which will conduct studies on the various diseases of the local population, in order to produce serious statistical studies. The Research Center that will operate in collaboration with the German Oncology Center will also be hosted there. How many schools and programs does the CUT have today? In the University there are currently 6 schools with 14 undergraduate and 23 postgraduate programs, with many branches and specializations. The debate about the scandals has repeatedly damaged the University (despite the fact that its own administration has asked the investigation of the cases that are examined by the General Auditor), which sometimes is attributed to the powers fighting against the University. Will the University expand more? Of course. 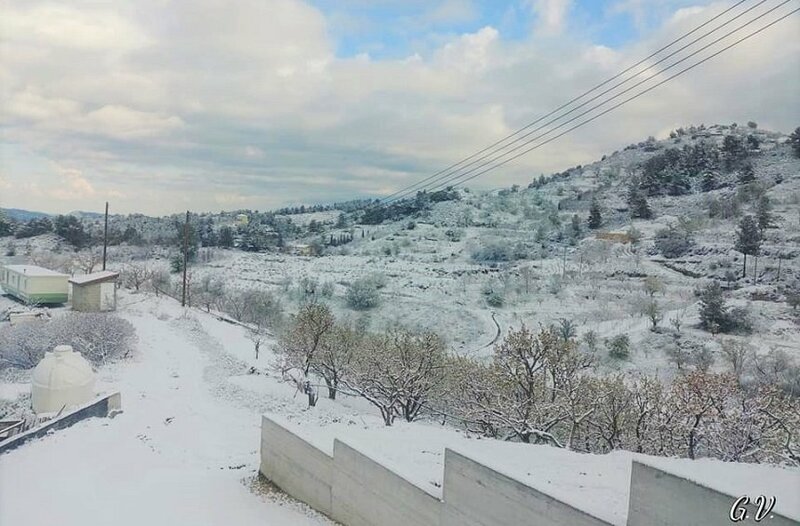 There are already movements for the utilization of a farmland in Achelia, in Paphos, which is necessary for the operation of the Department of Agricultural Sciences. At the same time, a farmland on ecclesiastical land is being created in Lofou, for mountainous cultivations. 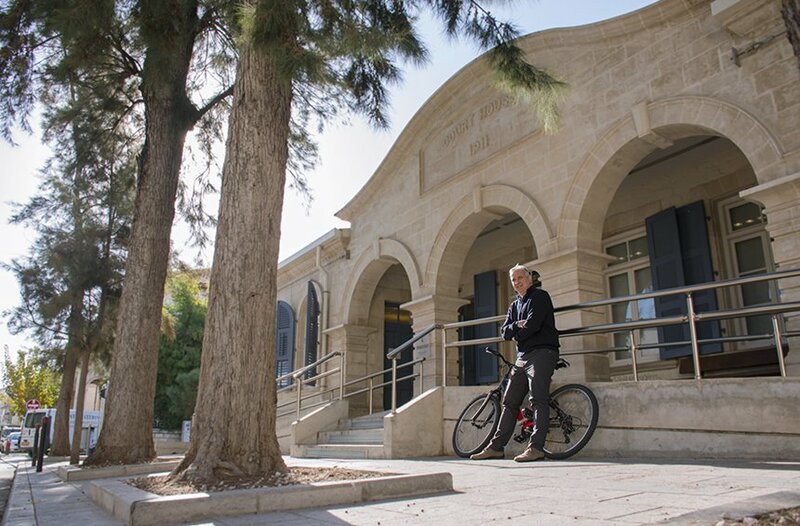 In a few decades, the future administration of the University may even plan to expand it with branches in other cities in Cyprus. In the near future, we expect the completion of the Fine Arts School in April 2018. Also, the former National Bank, the abandoned building southern of the Deanery Square, and the corner building next to it will become the Fine Arts Center, with an events hall for the University and the whole city. Yet, there is an almost third world image in this area with the vandalisms. Indeed, it is a problem that is concerning us also and sometimes prevents us from using the Square for happenings. The Municipality and the Police have responsibilities for the vandalism incidents and, as far as CUT's premises are concerned, the University also has responsibilities. There will be spotlights and cameras installed in the square to make sure that it is properly supervised, even though we had some reactions from within the academic community, since some think this is against to democratic freedoms. Another measure we will apply is the use of a special paint for the walls, which makes the cleaning from the sprays easier. Is the installation of a monitoring circuit a restriction of freedom, for those who use the Square? No. Since one cannot respect the public place and the others who use it, then the supervision of the place is not a restriction of freedom. Do you think you are the appropriate person for the Rector’s position? Yes, I was believing this and that’s why I claimed it. If someone else would claim it, who would be more experienced, I would say that it is for the best for him to take over, and we would all help him to go ahead. However, since I knew the whole course of CUT from the beginning, I believed that with the Senate’s collaboration, we could make decisions for its progress. You didn’t wish to become a Rector for the title? What title? 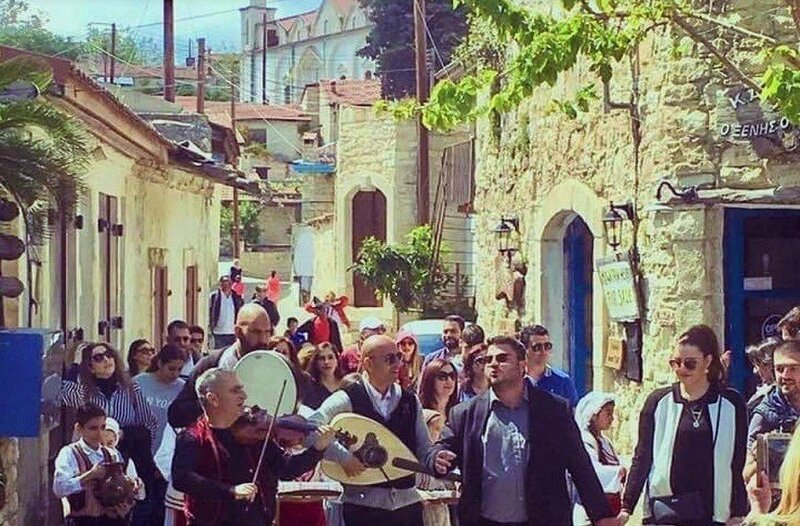 In Cyprus, when you say you are a Rector, you are not appreciated, as it happens abroad. The earning weren’t a reason to claim the office? What earnings? We had an allowance of €5,000 a year, which was limited by Parliament to € 2,500. This office caused me more troubles, bustles, less time with my family and defamation of my name, rather than financial benefit. 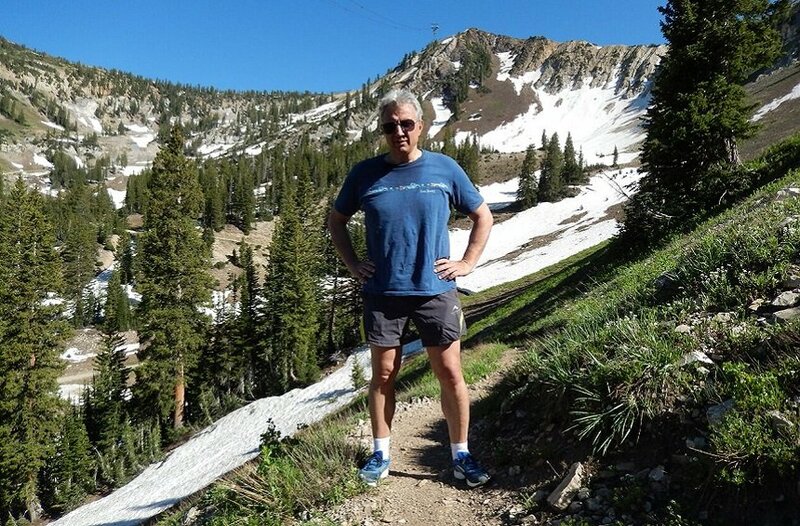 Jogging is one of the regular habits of the CUT Rector, who resorts to it to clear his mind and to plan more clearly the achievement of the goals he has set. But there is also the moral satisfaction of the University's successes and, above all, its ranking among the 350 – 400 best universities of the world, in the list of the top 100 universities, along with other major institutions from abroad, such as the University of Maryland in the US. Currently, CUT is the university with the highest rating among the universities of Cyprus. Even more important is the fact that CUT had the best score, during the criteria measurement, at the other reports. That means that the research findings and the work that is carried out under the CUT research programs are referenced by researchers and academics worldwide. CUT has a significant research work (227 programs, with European funding of €42 million in total), especially in new scientific fields, such as nanotechnology, photovoltaics (a pilot photovoltaic park has already been agreed in Limassol, in cooperation with Green Energy Group, for research purposes) and generally modern technologies that also have a green and sustainable development. What are the main advantages of CUT? The promotion of innovation, a field in which we have a very dynamic presence, the low age average of the staff that gives a different impetus, and Limassol, which gives the opportunity for the CUT to have significant strategic partners. What are the goals that the University has set for the future? The building development, in the center, in the Second Pole and in the Berengaria settlement, is a key objective. A very serious goal is also the local bodies to trust the University, so they will finance it, because quite often the limited state budget limits the possibilities. 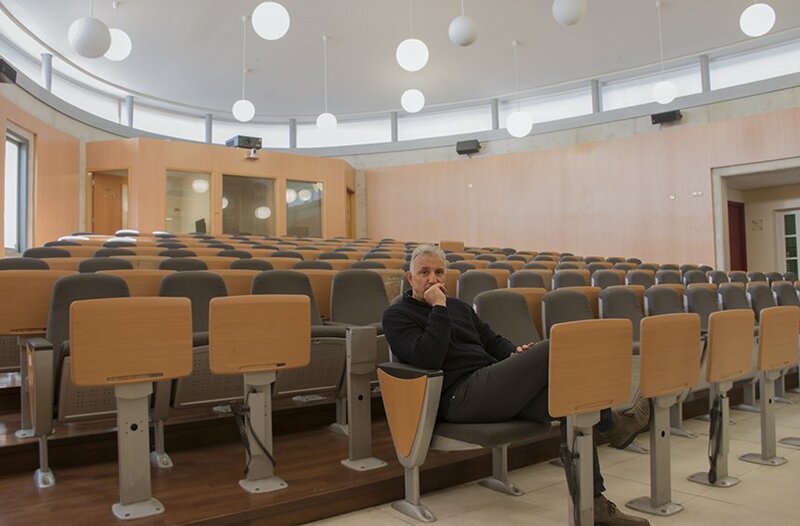 Perhaps the scandals are not helping, but if Limassolians love the University, the entrepreneurs who have the intention of helping will trust it too. The Limassolians don’t love CUT? I believe they love it, but with the exposure of the scandals and the silence of its successes, the right image is not given and for this, the people cannot really bond with the University of the city. The University doesn’t have responsibilities for the perpetuation of this image? Yes, certainly there was not an organized and substantial effort to properly portray the benefits that the city derives from the operation of CUT. We are responsible for the bad impression that has been created, we have responsibility for the people to understand the value of the University, to feel it like their own and to help it grow, because this also means development for Limassol. People need to realize that CUT is a privilege for Limassol. This is the reason that the improvement of its public image is one of our strategic goals until 2020. A good university is a pole for growth for every city: it gives the possibility for many young people to study near their home without the need for great expenses by their families, produces knowledge, offers impetus to new ideas, moves the local economy, attracts new people to the city and many more. Eventually, aiming for the top, does not apply just metaphorically to his academic course, but it literally applies all those times he is in the nature. Andreas Anayiotos, knows now that he couldn’t live anywhere else. 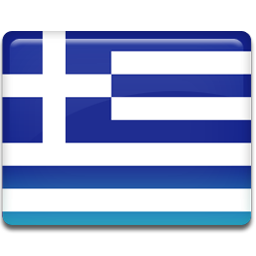 "Even when I go to Nicosia to see my parents, I am looking forward to return to the sea. You will say, how is it possible? Eh, after 10 years of dedicating myself to the University and getting connected with the city, it is." 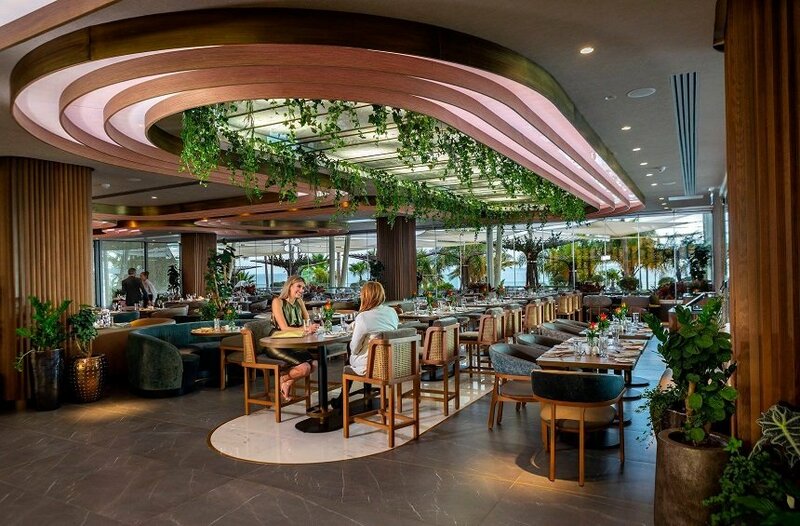 Hence, his everyday life revolves around the historical center of Limassol, whether it will be for work or to one of the venues in Castle Square for coffee, drink or food with friends and family. He got to know and love the city through the University and due to it and, with all the experience he carries from his life abroad, he knows that Limassol and the CUT are meant to grow bigger together. He sees the future at the new, innovative, small and medium-sized businesses, with initiatives from young people, along with the support of the University, who will constitute the base of a new economy. "Limassol was always innovating and because it gathers almost the 50% of the Cypriot economy, it can be the core for the country to change totally", he states, acknowledging many possibilities in a city with a majorly growing University, while he is looking forward to the perspective of a modern Technological Park. "All that is needed," he concludes, "is to believe in the positive forces and to change mentality, leaving behind us the negativity we inherited from our ancestors for good."